With your parent's permission*, go to www.geocaching.com. Type in your city and state to locate public geocaches in your area. Share the posted information about three of those geocaches with your counselor. Then, pick one of the three and find the cache. Create a Scouting-related Travel Bug® that promotes one of the values of Scouting. 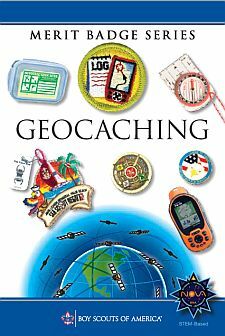 "Release" your Travel Bug into a public geocache and, with your parent's permission, monitor its progress at www.geocaching.com for 30 days. Keep a log, and share this with your counselor at the end of the 30-day period. Set up and hide a public geocache, following the guidelines in the Geocaching merit badge pamphlet. Before doing so, share with your counselor a three-month maintenance plan for the geocache where you are personally responsible for those three months. After setting up the geocache, with your parent’s permission, follow the logs online for 30 days and share them with your counselor. You must archive the geocache when you are no longer maintaining it.